Camtasia 9 has just been released. I’ve had the opportunity to play with this new release for a couple of weeks, and I have to tell you that it is an amazing upgrade. See the video below for more info. These templates was created in version 8 but also works in version 9. We have tested a lot of them, and almost all works without a flaw. There has been a few cases where the timing of the animations has been slightly off. The new Camtasia supports MOV files, but you will need to have the latest Quicktime installed to be able to import MOV. Camtasia 9 currently does not support transparent MOV files. We have a few Camtasia templates that has this file format, and those templates will not work at this time, but we will upgrade those templates shortly. If you find a template that has problems, please open a ticket and we will fix that. Over the coming months we will be releasing at least 10 new templates for Camtasia 9 every month. Here are a few of planned releases. If you have special requests, please open a ticket and tell us what Camtasia templates you need. Premium Members, don’t forget to request your custom flag. 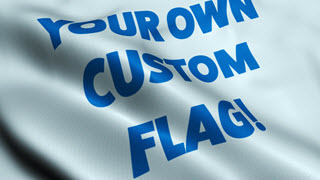 Custom Flag creation will be available until October 31st. Due to the new Camtasia release we are a little bit behind schedule, but new files will be released shortly. In the meantime, enjoy the new Camtasia!